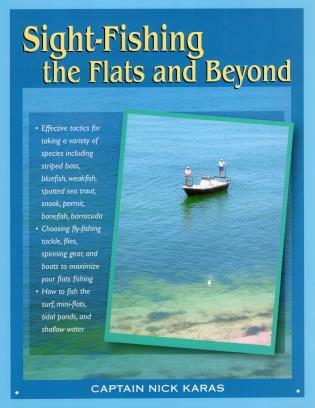 Sight-Fishing the Flats and Beyond offers effective sight-fishing tactics for a variety of species, including striped bass, bluefish, spotted seatrout, snook, permit, bonefish, and barracuda. Captain Nick Karas tells how to choose fly-fishing tackle, flies, spinning gear, and boats to maximize your flats fishing and gives tips on sight-fishing the surf, mini-flats, tidal ponds, and shallow water. Captain Nick Karas is a sight-fishing guide who lives in Orient, New York. He has written for Newsday and is the author of Striped Bass Fishing (1-58574-088-8).